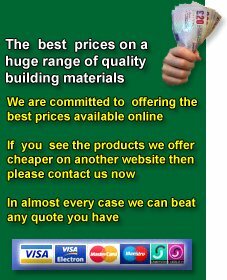 Roofing materials are available from Building Materials Direct with all you need to complete your new roof for your DIY or selfbuild project. Dealing with major Roofing Distributors Building Materials Direct are able to supply a massive range of Concrete Roof Tiles and Clay Roof tiles in different finishes and colours from leading manufacturers such as Lafarge roofing (Redland Roofing), Marley Roofing, Forticrete Roofing, Russell Roof Tiles, Eternit, Sandtoft, Wienerberger, Keymer, Bradstone and many more. 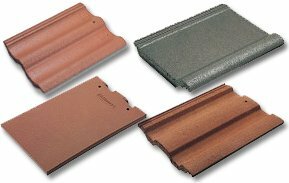 Whatever you require from standard concrete plain tiles to clay tiles or even ornamental ridge Building Materials Direct will aim to fulfill your requirements. Building Materials Direct are suppliers of a variety of breathable roofing membranes and roofing felt systems for both pitched and flat roof applications these include products from the Ruberoid , Marley waterproofing, Icopal, monoperm, permo and Tyvek product ranges. These include standard pour and roll and torch on, high performance elastomeric roofing systems, type 5 standard polyester and also type 3 glass fibre membrane. Roof Insulation is a vital part of the roof construction with ever increasing fuel costs and the need to be more energy efficient Building Materials Direct supply a large range of Various types of Roof Insulation. These include Multi-foil insulations from Web Dynamics (Thinsulex Silver TLX), Actis (Tri - Iso super 10). Rigid board insulation from Celotex, Kingspan including the Kooltherm range, Ecotherm and Recticel. Fibreglass and Mineral wool insulation from Knauf, Isover, Ursa and Rockwool. 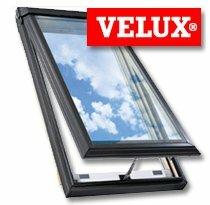 Also available from the Building Materials direct Roofing supplies range are Velux Roof windows and Blinds these come in many sizes and finishes. Roofing plywood, Roof Ventilation products and Sawn graded timber are among a few other products that Building Materials Direct are able to offer. So why not give us a call with your roofing materials requirements and see if we can save you money.